Hidden cults, dormant evils, and secret societies lie at the dark heart of The Sleeper Below. 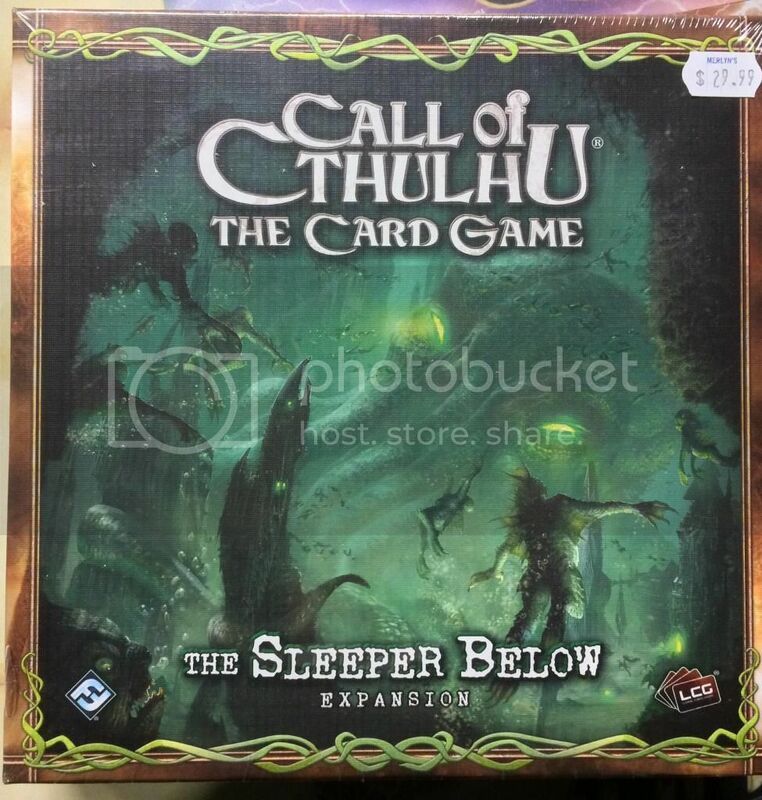 With its 165 cards (three copies each of fifty-five individual cards), roughly two-thirds of which focus on the Cthulhu faction, The Sleeper Belowimmerses players in a world of frantic struggles against a host of countless evils, forever roiling just beneath the superficial veneer of mundane existence. Do you dare open your eyes to the terrors that await those who break free of their placid ignorance? Will you quest for ultimate power and risk a spiraling descent into madness? Will you fight to save humanity or bring it to ruin? Discover horrors beyond comprehension in The Sleeper Below! This is a Living Card Game: A Living Card Game (LCG) breaks away from the traditional Collectible Card Game (CCG) model by offering a fixed card distribution method. It offers the same dynamic customizable, expanding, and constantly evolving game play that makes CCG’s fun, but without the blind buy purchase model that can burn out players. The end result is an innovative mix that gives you the best of both worlds!